What Can We Do for Your Net Zero Building? 4. STAY ON TARGET WITH NET ZERO PERFORMANCE TRACKING! Stay on target with powersmiths solutions for Net Zero buildings. 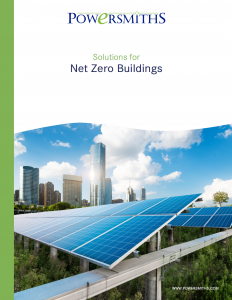 This brochure offers innovative technologies to maximize renewable energy, minimize energy waste and manage building energy.